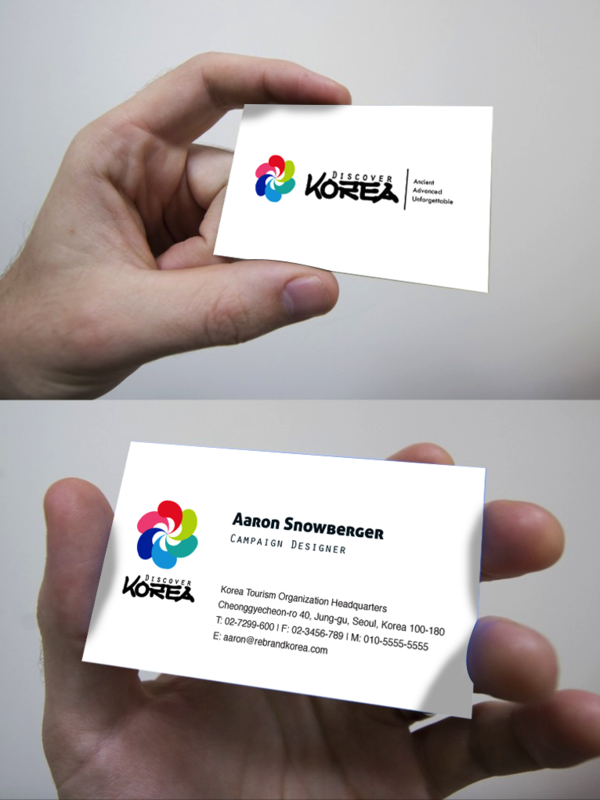 I went with a very simple and clean design for the business cards. This is something similar to what I’ve noticed with many large companies including the university I work at and Korea.net. The letterhead here reflects the business card design. 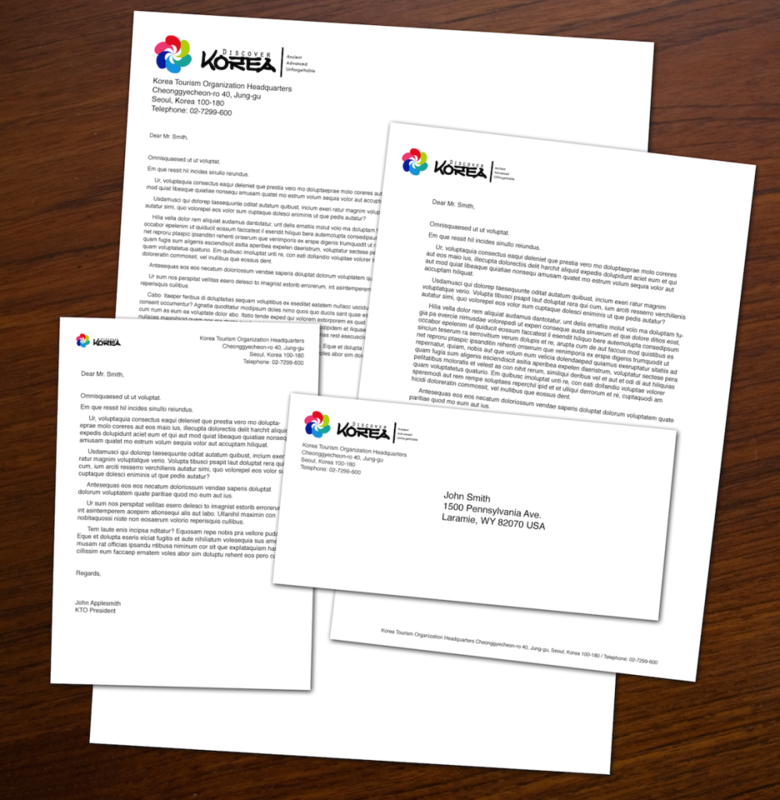 The documents below are A5, A4, A3, and DL (metric) sizes. The Style Guide portion of my book also goes over US paper size guidelines. 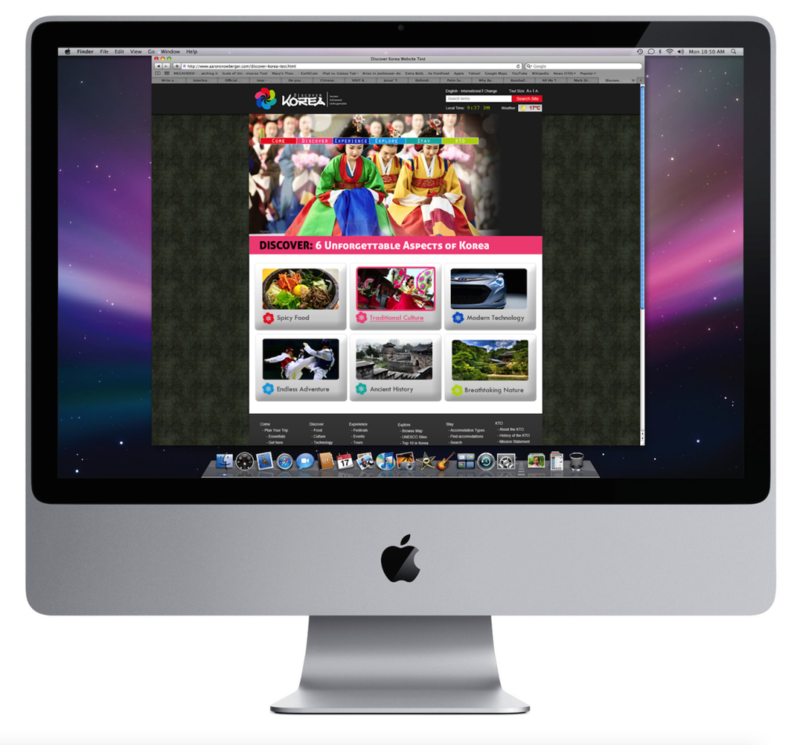 The homepage includes many features that the current KTO website includes – such as events, news, advertisements, and so on. 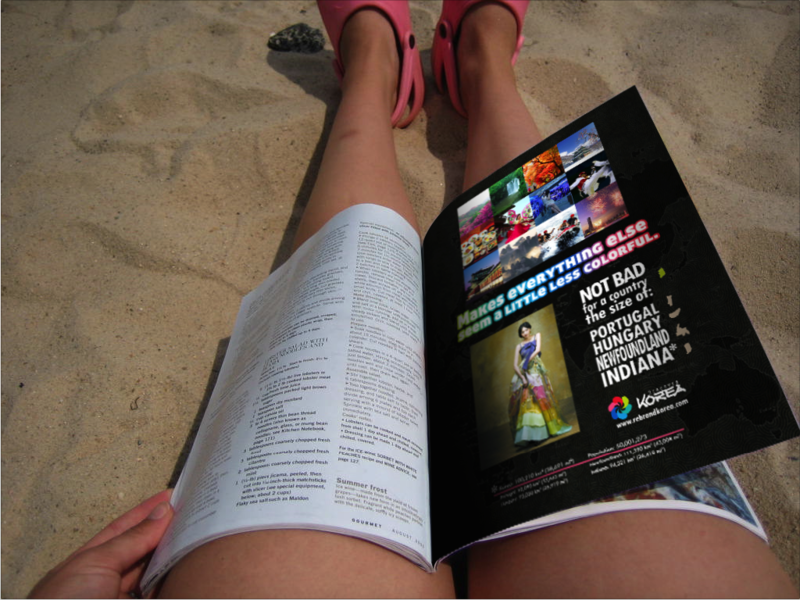 But these are contained partially down the page in order to free up the main portion of the page for what is most important: vivid tourism images. 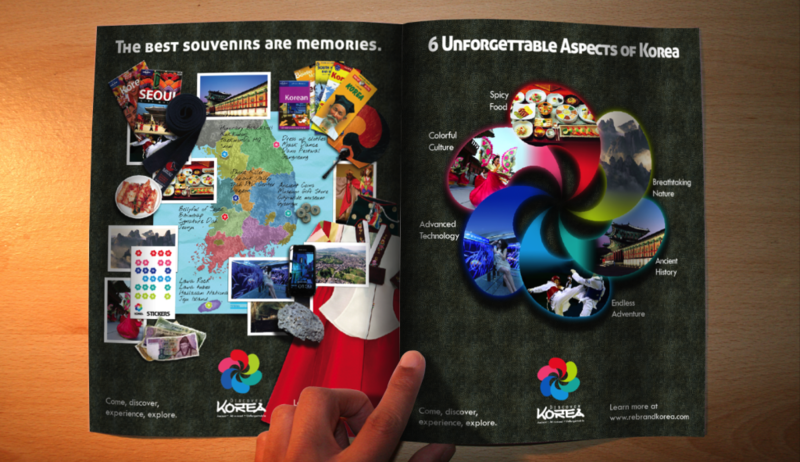 The motion graphic here is 15 seconds in length – with the logo animation taking up about 7 seconds of that time. The patterned shirt in the center there is reflective of a similar patterned shirt that I picked up in Japan. I really liked the unique pattern and material that made the shirt and I thought it would be a unique addition to the campaign. 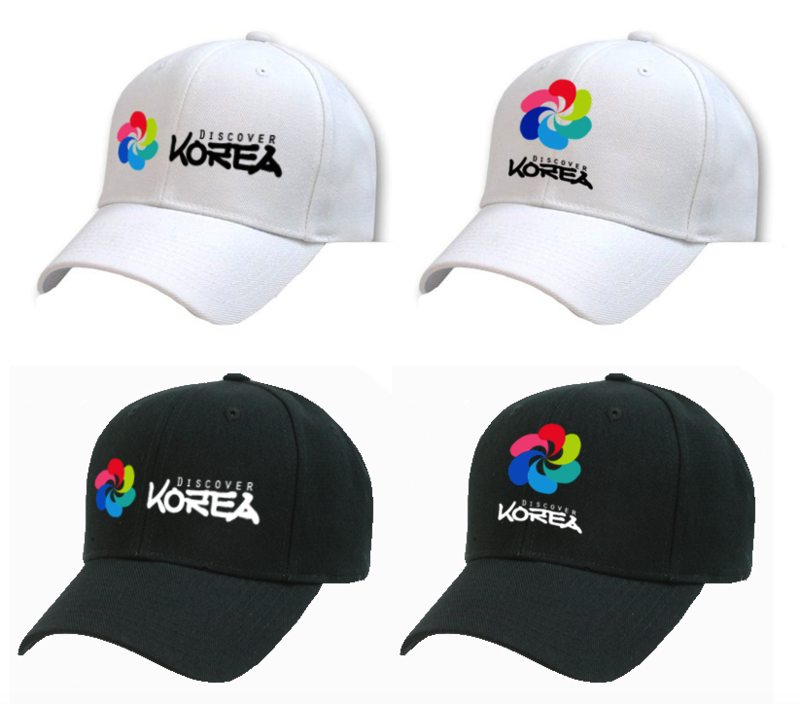 Obviously hats are a unique and fun design element and with these logo colors on black and white, the hat designs here look really good. Buses are a necessity for tourism travel within a country. 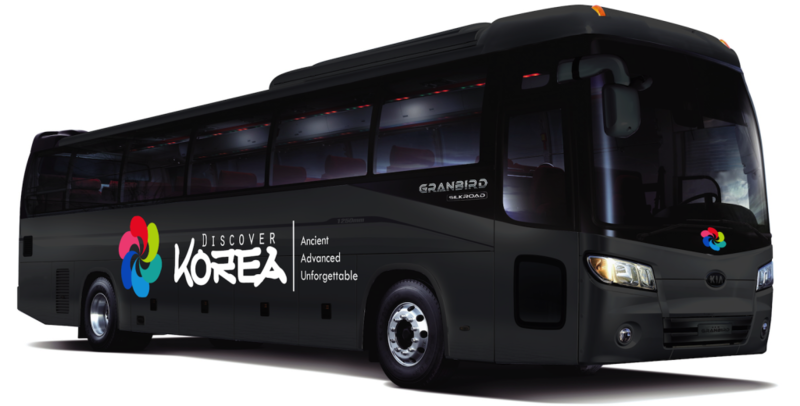 Buses represent the fastest and cheapest means of getting out to explore and experience everything Korea has to offer. 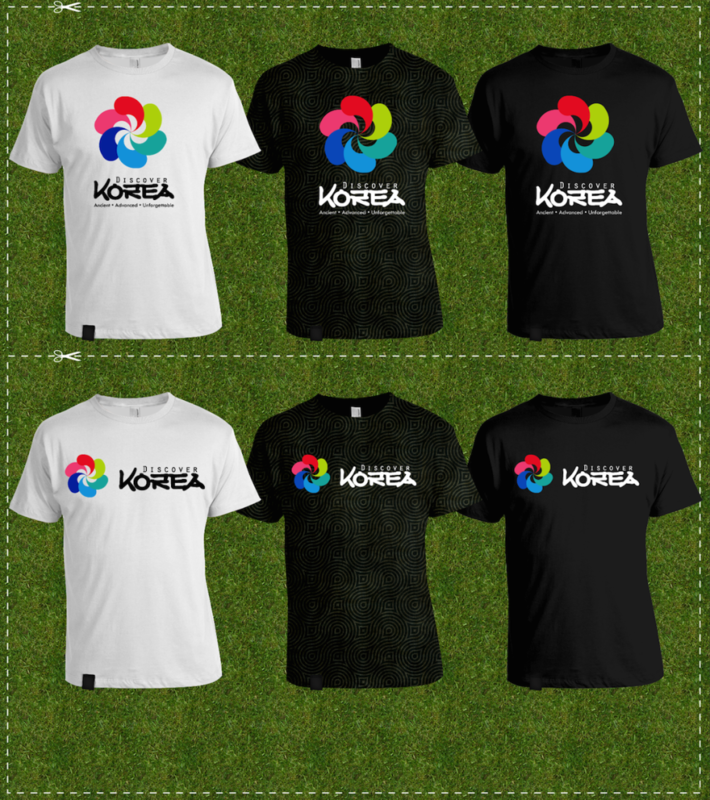 Therefore, a fleet of tourism buses with the “Discover Korea” branding would help to spread the new brand image, and would help the KTO to maintain good visibility throughout the country in their tourism efforts. I also created a number of computer wallpapers that never made it into the Campaign book.